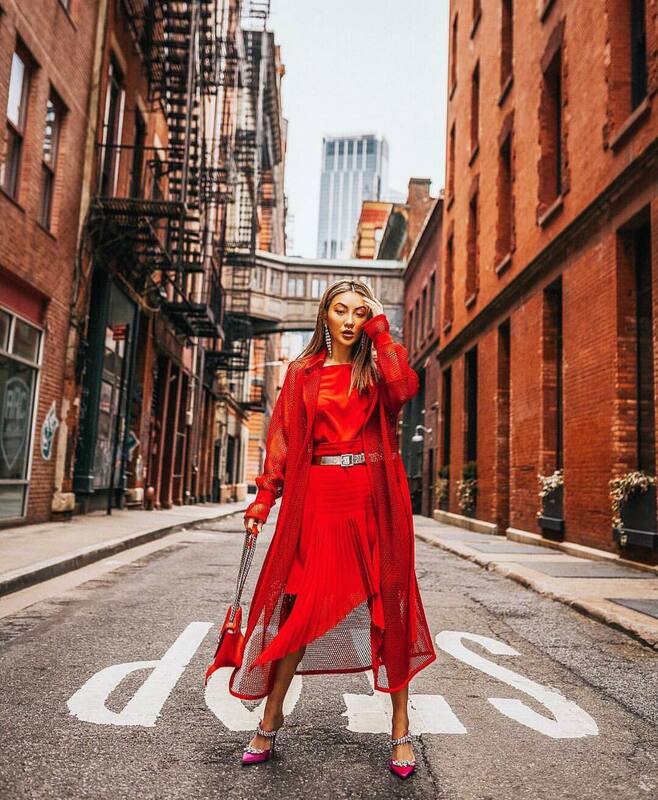 If you do love the bright, elegant, ladylike style, then this all red outfit idea is what you definitely should try out this Summer. We see a sheer coat layered over a hot red dress with a knife-pleated skirt. Complete this combo by adding long drop earrings, silver belt, chain strap red bag, and pink pumps. In love with basics. We see a white pinstripe shirt tucked in a cream-beige side lace-up skirt in suede. The combo is completed thanks to mirrored sunglasses, hoop earrings and pointed-toe sock ankle-boots in black. Sweater weather is on! Check out these two awesome looks for Fall season. 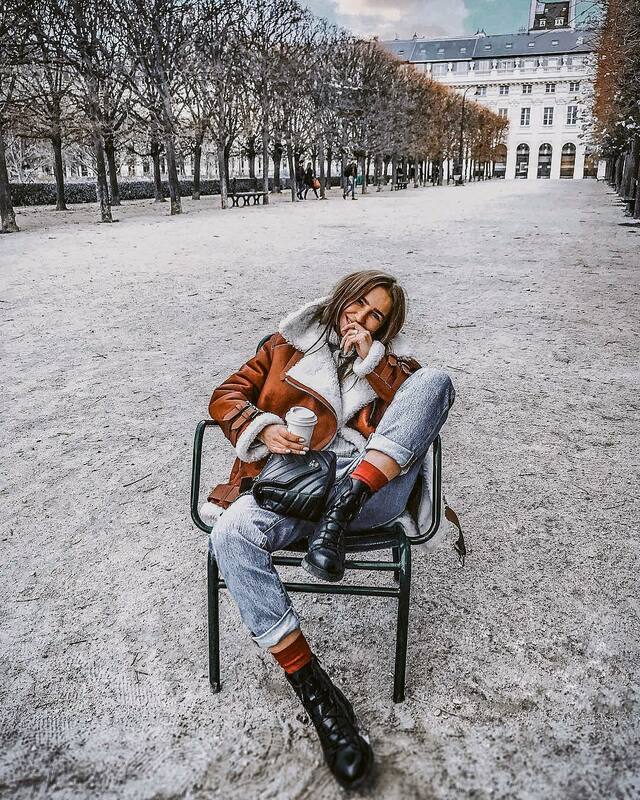 The first one features an oversized cream brown turtleneck oversized sweater worn as a dress completed with suede OTK boots in black. The second look is the one that features a dark grey oversized sweater tucked in skinny jeans completed with black OTK boots. In love with these rounded sunglasses. Which outfit are you most likely to wear? Left or Right?